This dinnerware blog features the latest and greatest from Dinnerware Shopping Guide. 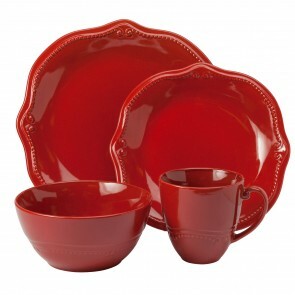 Here is what's new at Dinnerware Shopping Guide. If you are a dish lover like me, please stay in touch by signing up for a RSS feed or subscribing to email updates. I promise I won't swamp your inbox with worthless junk! If you are "modern", you can even join me on Facebook or Twitter. It's unbelievable what technology has gotten us into! Continue reading "Culinary Arts Dinnerware"
Continue reading "Cuisinart Dinnerware: Porcelain and Stoneware Sets"
Continue reading "Coventry Dinnerware: What Is It and Who Makes It"
Corelle dinnerware is an excellent choice if you are looking for stylish, long lasting dinnerware. It is considered to be practically unbreakable dinnerware. Continue reading "Corelle Dinnerware: A Durable Brand of Dishes "
For whimsical dinnerware, Clay Art dinnerware is great to look into. The artsy dinnerware is very unique and makes joyful table settings. Continue reading "Clay Art Dinnerware"
Churchill dinnerware is popular brand of English dinnerware that is now known as a global brand. 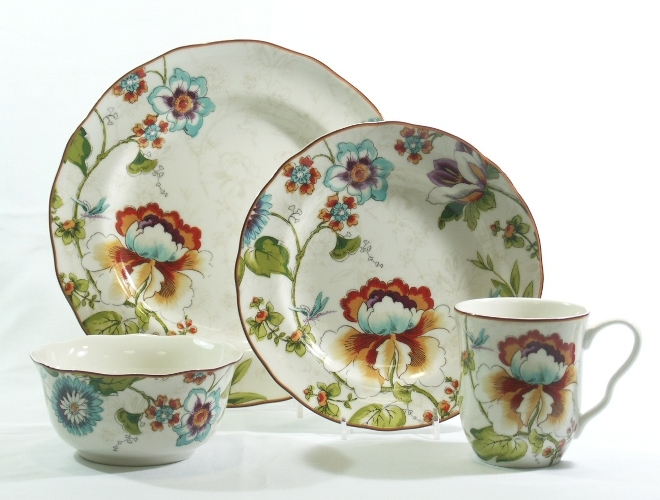 It includes well-made whiteware and patterned china of high quality. Continue reading "Churchill Dinnerware: Vintage to Modern Churchill China "
Chris Madden Dinnerware is very classy and adds a touch of professional decor to your home and table. As a celebrity designer and author, Chris Madden aims to turn your home into a haven. 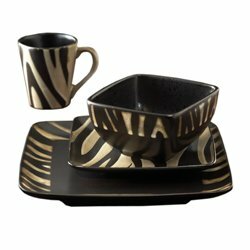 Continue reading "Chris Madden Dinnerware: Designer Tableware with Style"
Casafina dinnerware features stoneware and earthenware that is great for entertaining or everyday use. Continue reading "Casafina Dinnerware: A Beautiful Addition to Your Table"
Bennington Potters is a Vermont-based pottery factory that specializes in producing handmade pottery and stoneware. They are known for crafting unique pottery pieces. Continue reading "Bennington Potters: Handmade Pottery Dinnerware at Its Finest"
BIA Cordon Bleu dinnerware is designed to be restaurant dinnerware, but is also available for consumers. 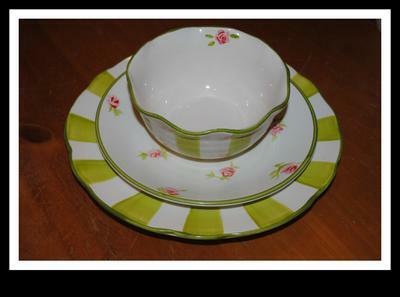 This dinnerware has been in production since 1952. 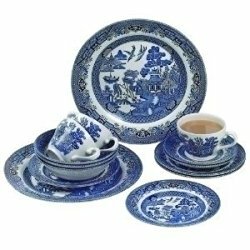 Continue reading "BIA Cordon Bleu Dinnerware"
If you are looking for a decorative casual dinnerware set, Atelier dinnerware is a good choice. The selections are plentiful and the patterns stay up with modern trends of decor. Continue reading "Atelier Dinnerware: Reasonably Priced Casual Dinnerware Sets"
Arcoroc dinnerware is designed for professionals by Arc International. This company produces and distributes tableware in over 160 countries with their main office located in France. Continue reading "Arcoroc Dinnerware: The Professionals Choice"
White porcelain dinnerware is a specialty of Apilco dinnerware, a French dinnerware company. Discover why chefs love this dinnerware. Continue reading "Apilco Dinnerware: French Porcelain Dinnerware "
The Anchor Hocking dinnerware company is best known for its vintage glassware, such as Fire-King dishes, depression glassware and milk glass products, but they make some awesome modern kitchenware. Continue reading "Anchor Hocking Dinnerware: The Maker of Fire-King"
If looking for a dinnerware set, American Atelier dinnerware is an excellent choice. The brand offers various patterns and selections in vintage and modern at a reasonable price. Continue reading "American Atelier Dinnerware: Vintage to Modern"
222 Fifth dinnerware is a brand marketed by PTS America Inc. 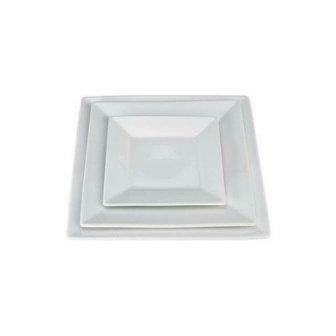 It is high-quality dinnerware with classy patterns to add a bit of excitement to your table. Continue reading "222 Fifth Dinnerware"
Basket shaped bowl with sea shells on the front and handles on both ends. White with light brown on the 3 dimensional shells and basket weave sides. Continue reading "Ambiance Collection By The Shore "
Please tell me the name of the mixed pattern set on your home page. I love it! 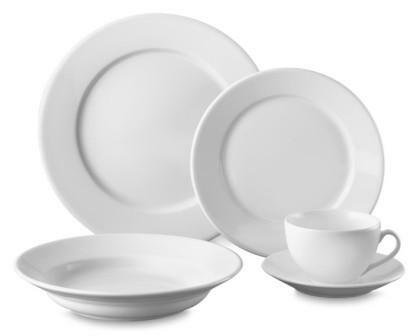 Continue reading "Identify the set on your page"
Need replacement dinner plates. Is this pattern still available? It is plain white and very simple. I love it. 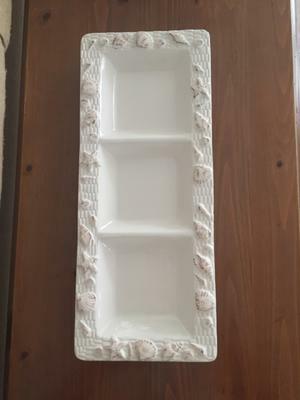 Continue reading "Sakura Porto Blanco"
Continue reading ""Tea Party" by Culinary Arts"
Updates to the Dinnerware Shopping Guide are featured here on this blog. 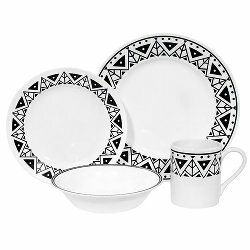 Reading through the new entries prove useful in selecting dinnerware sets that will brighten your home and make entertaining more enjoyable. The time spent planning will boost your confidence as well. If you choose to share your stories, your favorite dinnerware, or dinnerware tips, your entries will appear here... You will be in the highlights! It is fun to see your entries, questions, answers or tips online. 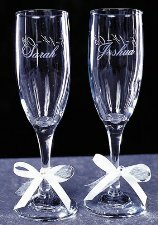 Dinnerware ideas and creative table settings can also be shared which is wonderful getting ideas for your own ventures. I have enjoyed receiving many compliments on the content of this site and many visitors are introduced to the shopping guide through this blog. If you choose to share it with your friends, family and acquaintances it will be greatly appreciated. There is nothing better than hearing that my hard work while sharing my passions have helped others to develop beautiful table settings and memorable dinner parties. If you sign up for updates, you will get updates through email when they become available. You won't be swamped with spam, personally, I despise that and I wouldn't do that to you, one of my valuable visitors or contributors. It's just a simple email that highlights the newest pages for you to browse through to decide what is of interest to you. 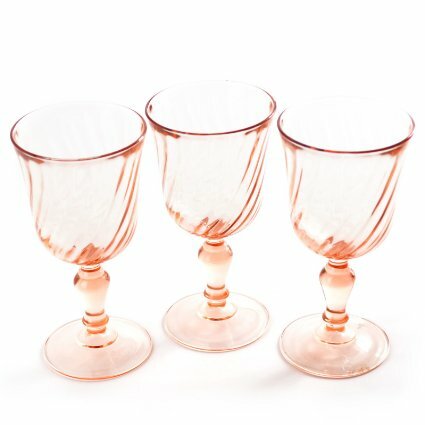 My mission is to share my interest in dinnerware with you, to help you select the dinnerware that you need or desire by offering reviews and places to find what you are looking for, and especially, to get and share ideas for kitchen or dining room decor and awesome table settings. The ideas presented range from usefulness to extravagance, from everyday dinnerware to dinnerware for special occasions like holiday dinner parties and weddings. It all becomes more special when shared with people of like interest.